Garver is again involved in Bike to Work Week activities and encouraging commuters to ditch their car keys May 13-17. Our employees are involved in a number of ways this year, which includes leading multiple rides to our office in North Little Rock and providing refreshments and snacks for other bikers who are pedaling through the Northshore Business Park. Below is a list of organized events near Garver offices. Specific meeting times, locations, and routes are available by clicking on the highlighted links. And if you know of any other events in a Garver city, let us know and we'll add it to the list. Just in time for Bike to Work Week, Garver's Online Team Store is open and offering three new Garver cycling jersey designs and a bib short option in a full range of sizing and style choices for all levels of riders. The store will remain open until Thursday, May 23 for our spring sale. Log in to the Garver Pactimo store with the "garverstore" password. Lawren Wilcox is organizing bike maintenance services for Garver employees. Thursday (May 16) from 11:30-12:30, Lawren and others will provide free basic services such as tire inflation, chain lubrication, shifter and brake adjustment, and bike fit. If you need a tune-up to prepare for Bike to Work Day and the cycling season, want to learn a little about bike maintenance, or need help with your kids' bikes, please join us at the recreational storage in Building Two. Bike to Work Day (Friday, May 17). Routes have been established in the Little Rock metropolitan area and can be found on the Ditch the Keys website. A couple of Garver employees are leading convoys: Lawren Wilcox is leading a group from West Little Rock to Garver; Diane Barton is taking a group from North Little Rock Park Hill to the Pulaski County Courthouse Rose Garden. Ride of Silence (Wednesday, May 15, 7 p.m.). A Ride of Silence is held each year to honor those killed while bicyling. This year the ride will take place from 4800 W. 10th St. (new CALS Children's Library) to 12th Street and the Capitol. A great source for Central Arkansas bicycling news, commentary, tips, and links is the blog JBar Cycling. Kick-Off Proclamation and Bike Ride (Friday, May 10, 5:15 p.m.). Mayor Lioneld Jordan will read the Bike to Work Week Proclamation, and then a bicycle ride to Mellow Mushroom Pizza off the Mud Creek Trail will begin. Bicycle Commuter Challenge (May 12-18). The workplace with the highest percentage of bicycle commuters during Bike to Work Week has the chance to win great prizes. The rider with the longest commute is also given an award. Register your commute to enter. Bike to Work Week Rides (May 13, 15, and 17). The Indian Nations Council of Governments has organized a couple of morning rides and a happy hour ride that includes musical guests and free bike tune-ups. Bike to Work Central Oklahoma (Friday, May 17). The Association of Central Oklahoma Governments is helping coordinate Bike to Work Day rides for numerous communities, including a route in Norman. If you're interested in a group ride, check into Frisco Cycling Club and Shawnee Trail Cycling Club for ride schedules and events. Although Houston has already had its Bike to Work activities, Bike Houston’s website is a great way to get information on how you can participate in cycling the city in an enjoyable and responsible way. Ride of Silence (Wednesday, May 15, 7 p.m.). A memorial ride to remember bicyclists killed or injured in traffic crashes. Events are planned in Plano, Dallas, Fort Worth, and Houston. Irving Bicycle Fest (Saturday, May 11, 10 a.m.). Planned events include a group ride, Kids Bicycle Safety Rodeo, vendors that specialize in bicycling information and equipment, on-the-spot bike checks, unique cycling groups and more. Tour de Nash (Saturday, May 18). Family rides and longer tours are scheduled. Hundreds of cyclists of all skill levels will embark on a leisurely ride along Music City's many wonderful bike-friendly facilities. You're sure to learn a new route that you can use to get to work, go out on the town, or just enjoy a great ride. Bike to Work Day (Friday, May 17). Walk/Bike Nashville has a website and Facebook page with information on bicycling activities. Walk/Bike Nashville is coordinating group rides to all areas of Nashville/Greater Nashville area. For more information, click here. Bicycle Month (May). Kansas City has lots of events throughout the entire month of May. Check out the calendar on Bike Month KC’s website. Highlights include the Bicycle Rodeo, Bike Prom, and the Bike-In Movie. Commuter Challenge (May). Register your rides at Bike Lexington for a chance to win prizes as an individual, or as a team, for most trips or most miles logged. 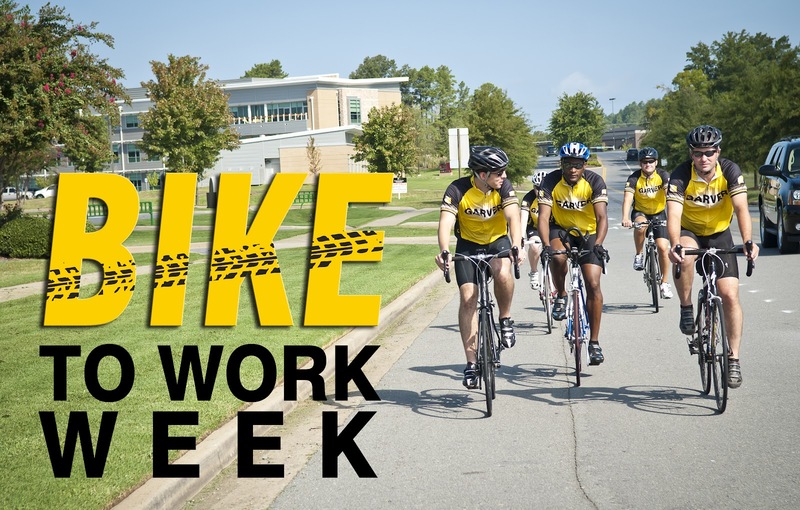 Ride to Work Week Events (May 10-17). See Bike Lexington’s calendar for information about Bike Polo, a women’s ride, Russell Cave Ride, and a bicycle-themed movie in the park. Ride of Silence (Wednesday, May 15). A memorial ride to remember bicyclists killed or injured in traffic crashes will leave from Scully’s on the Bayou on Eglin Parkway in Ft. Walton Beach at 5:45 p.m.
Ride of Silence (Wednesday, May 15). Stay tuned to the Spring City Cycling Club’s website for details about the memorial ride to remember bicyclists killed or injured in traffic crashes.